Over the past few months, as many as 15 young Somali-American men from the Twin Cities have traveled to Syria to join radical groups trying to overthrow President Bashar Assad's regime, according to the FBI. One of the men, Abdirahmaan Muhumed, told MPR News through a series of Facebook messages that he is fighting alongside the Islamic State of Iraq and Syria. ISIS, as it is commonly known, captured the Iraqi cities of Mosul and Tikrit this week. "A Muslim has to stand up for [what's] right," Muhumed, 29, wrote in a Jan. 2 post. "I give up this worldly life for Allah." Muhumed, who claims he wants to save the global Muslim community, said if that causes others to consider him a terrorist, he is "happy with it." He asked Allah to forgive him and to "make my mom strong for the decision that I made." In recent months, Syria has lured many young Muslim men from abroad who want to join the jihad against the Assad government, which has waged a bloody conflict against its opponents. Many of the foreign fighters are from other parts of the Middle East but some have arrived from the United States. For some in Minnesota's Somali-American community, Muhumed's journey from shooting hoops at the basketball court and pumping iron at a gym in Uptown Minneapolis to fighting alongside jihadists in Syria is seen as a manifestation of an ongoing recruitment and radicalization in Minnesota's Somali community. "Most of [those who left] don't have the resources to even buy a ticket to go to Chicago. So that means there is some influential individuals who are taking advantage of our youth," said Mohamud Noor, executive director of the Confederation of Somali Community in Minnesota. "So it's up to us to defend ourselves. This is not only a fight for our youth. It is a fight for our future." Federal officials say it is illegal for Americans to independently travel overseas to fight in civil wars or armed conflicts against foreign governments. FBI officials in Minneapolis would not discuss individual cases, but told MPR News that the Somali-Americans left for Syria in recent months, and that the agency has been investigating the situation for the last couple of months. Friends of Muhumed said they are perplexed as to what motivated the young man they remember as outgoing and party-loving to join radical groups in Syria. 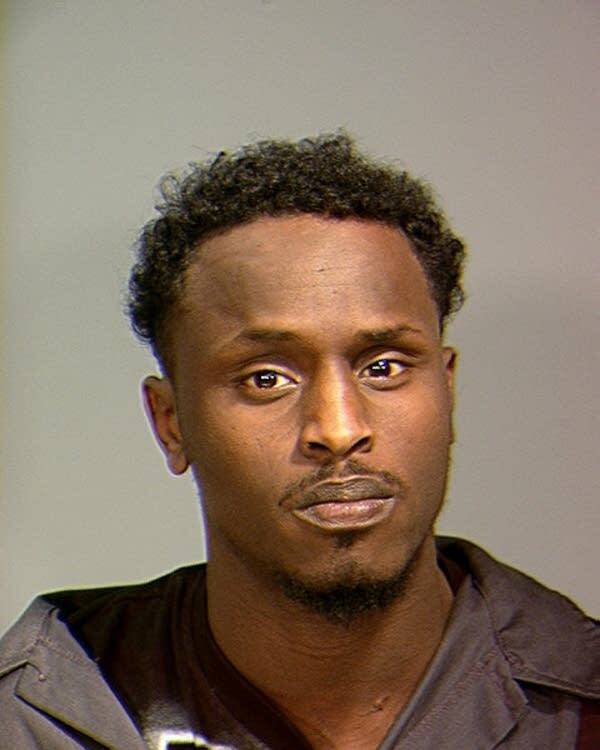 Unlike the roughly two dozen Minnesota men who federal authorities say traveled to fight alongside Islamic insurgents in Somalia since 2007, Muhumed and his Twin Cities peers enlisted to fight in a place to which they have no family or ethnic connection. The sudden shift to radicalism by Muhumed, whom friends know as Abdifatah Afweyne, was "very unpredictable," said Abdinasir Mohamed. Mohamed was shocked when he saw Muhumed's photos on Facebook, in which he is carrying guns and wearing military uniforms. "It was really hard for me to believe because the guy seemed he was busy with his own life, trying to make it," said Mohamed, who described his friend as humble. "And [for] him to leave his family and kids, and just go to the other side of the world, that was really surprising to me. I've not really expected him to do that type of move." Muhumed's Facebook profile shows startling photos from Syria. On Jan. 3, Muhumed posted on his Facebook page a picture of him carrying the Qur'an in one hand and rifle in the other. The caption "Shaam," refered to the Islamic name for Syria and the surrounding region. Muhumed said in Facebook messages that ISIS is "trying to bring back the khilaafa," a reference to an Islamic empire. He also said "Allah loves those who fight for his cause." Muhumed's account of his travels follows the disappearance two weeks ago of Abdi Mohamud Nur, a 20-year-old Somali man from Minneapolis. Nur's sister, Ifrah, said in an interview with the Voice of America on June 1 that her brother told her in text messages that he is in Turkey and was on his way to Syria to fight with the jihadists there. In one image posted May 8 on Facebook, Muhumed is seen smiling as he firmly holds an AK-47 rifle, his eyes fixed on the camera. He is in what seems to be a classroom and behind him is a blackboard with Arabic words scribbled on it. In another panel photo, the head of a dead man is held up to the camera, eyes lifeless and mouth slightly ajar; in the next, the man's head has been tied with a yellow ribbon from the chin up, his eyes and mouth shut, as if in preparation for burial. In a series of photos posted on March 19, Muhumed stands on top of a tank, rifle slung across left right shoulder, right hand raised, as if pointing to the sky. Muhumed's Facebook friends were stunned. "Abdi, my brother, you are wrong. 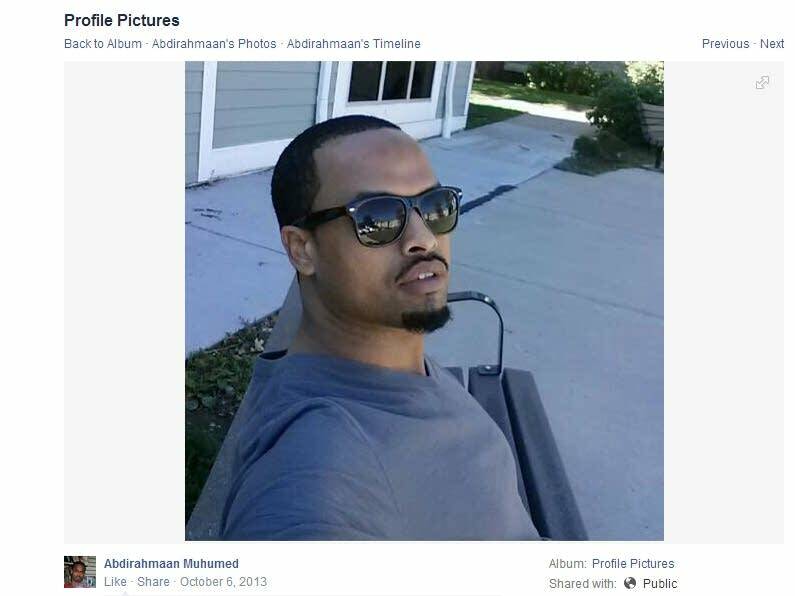 You should not have done this," one of his friends wrote in Somali on Muhumed's Facebook page. "Come [back], uncle," another friend commented. "This feels so wrong...don't u get it." Many friends said they are perplexed at why Muhumed went to Syria, which in their view is not a pressing concern to many Somalis who are more concerned about what's happening in their home country, Somalia. MPR News contacted one of Muhumed's wives and a family member, who both declined to be interviewed for this story. Muhumed, a father of nine children, was passionate about the politics of Jubaland, a regional administration in Somalia, and talked about the Ogaden National Liberation Front, or ONLF, a rebel group that is fighting for the autonomy of Ethiopia's Somali region, according to posts and photos on his Facebook page and interviews with his friends. "Family is not gonna save me frm [sic] hell fire because muslims are getting kill[ed] and if i just sit here i will be ask in the [hereafter]," Muhumed said. When asked why he did not instead go to Ethiopia and join the ONLF, Muhumed said in the Facebook interview that the rebel group is "fighting for land" and not for the cause of Allah. ONLF, he said, "is not fighting for to bring Allah's laws that is why [it] is taking long time to bring freedom [to the Somali region of Ethiopia]." FBI investigators aim to discover who is recruiting the Minnesota men, said Kyle Loven, an FBI spokesman in Minneapolis. Muhumed's departure for a jihadist movement is similar to what happened in the Somali community in 2007, when more than 20 young men from Minnesota disappeared and joined the al-Shabaab militant group in Somalia, some of them reportedly driven by nationalism after Ethiopia invaded Somalia in late 2006. After their departures, Loven said, the FBI discovered that "the call for jihad has resonated with a few young men within the Somali community" who are "disaffected" and "isolated." He said the FBI has tried to build rapport with the Somali community for seven years, since the first wave of Minnesota men traveled to Somalia to fight with al-Shabaab. Friends said Muhumed had family problems, separations from at least three wives. His shift to radical ideology fits the similar profile of Zakaria Maruf and Farah Mohamed Beledi, two men from Minnesota who were in their late 20s when they left and who both had criminal records and struggled to succeed in the United States. Maruf and Beledi both had joined al-Shabaab and died in Somalia, with Beledi becoming the second Minnesotan suicide bomber in the Horn of Africa country. "It is something that we have seen in this division, and it is something that we are actively working with the Somali community here in Minnesota to try to prevent," Loven said.